Doctor of Medicine (MD). MDs are the traditional allopathic physicians that the average individuals think of when someone says “doctor.” They attend an allopathic medical school, and must complete a residency in order to independently practice medicine. They are eligible to apply to any specialty; this is usually limited by their grades and exam scores obtained during The current US residency application system is biased to favor US allopathic graduates over international graduates (IMGs) and osteopathic graduates (DO). Doctor of Osteopathy (DO). DOs are fully trained and licensed physicians who have attended and graduated from a U.S. osteopathic medical school and can practice in all areas of medicine. In addition to traditional allopathic (MD) medicine, DOs receive extra training in the musculoskeletal and nervous systems which allow them to perform osteopathic manipulative treatments. Like MDs, DOs must complete a residency after medical school, and are eligible to take the same licensing exams that MDs take. There is a second residency application system geared towards DO students only. DO students may also apply to allopathic residencies, but frequently are disadvantaged compared to MD students in applying for these spots. While there are the individuals who know that they would prefer to spend all their time seeing patients, there are others with varied interests, including the ones listed above. While people are applying to combined programs (MD/PhD or DO/MPH) they do not realize they want additional training until they have completed one to two years of medical school. There are multiple paths one can take –below is a list of combined degree options for those considering their MD. Keep in mind that DO students often pursue these degrees as well. Doctor of Philosophy (PhD). MD/PhDs are physician scientists, who are individuals who spend a majority if their professional time conducting and applying research, typically in a topic tied to human biology and disease. They usually work at academic medical centers or research institutes. This is typically 7-8 years of training for both the MD and PhD. Most graduates from MD/PhD programs pursue a fellowship after residency (4-7 years of training following graduation from medical school) and end up in academic leadership roles. Applicants to these programs typically have strong academic records and MCAT scores, significant research experience, and letters of recommendation from research mentors. Master of Public Health (MPH). MD/MPHs are those who want to bridge the gap between the patient and the community. Physicians typically treat patients on an individual level. Public health workers treat entire populations (communities, cities, states, or countries). The MPH education focuses on epidemiology, biostatistics, health policy, and broader health issues and themes. MD/MPH students typically take a communal approach to treatment, contextualize health (social, economic factors), implement health programs in limited resource settings, conduct research, and more. Famous examples of the work of individuals with MD/MPH include the reduction in smoking over time, the eradication of smallpox, the increase in seatbelt usage, and needle-exchange programs for intravenous drug users. Master of Business Administration (MBA). MD/MBA students are those interested in patient care as well as business strategy, finance, entrepreneurship, and communication skills. This degree usually attracts students who want to become “business-savvy” doctors or physician managers. Specific training includes organizational development, budgeting skills, data analysis/interpretation, and management training. Individuals with this degree have more flexible career options, and can more easily switch from clinical work to consulting, finance, or health administration leadership; although, many choose to stay as part-time clinicians. A famous MD/MBA graduate is Surgeon General Vivek Murthy. Master of Health Administration (MHA). MD/MHA students are specifically trained for healthcare administration and delivery of healthcare services. Many individuals consider an MHA as a more specialized version of an MBA, which teaches the necessary skills and enlightens their students on the principles of business through healthcare related examples. Master of Public Administration (MPA). MD/MPA programs are geared towards teaching medicine alongside management and finance. MPA education also focuses on health policy with the intention of giving them the ability to alter the future of health policy and management. These programs gear students to pursue careers in hospital management, nonprofits, consulting forms, managed care organizations, and government health agencies. Juris Doctor (JD). A JD is a full law degree, and requires three separate years of law school, in addition to the four years of medical school. Many individuals view this as a strong skill set to understand how healthcare decisions affect both the patient and the hospital in addition to being an asset in shaping health policy. 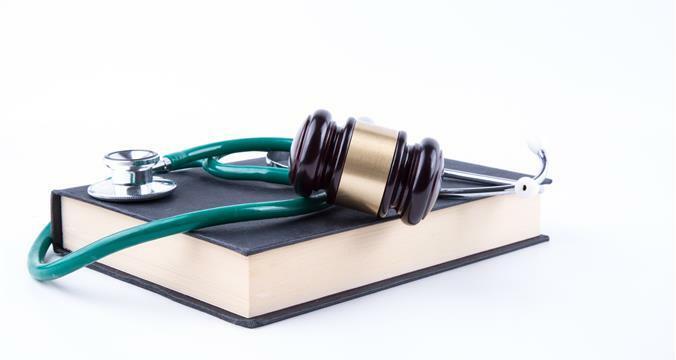 Typically, individuals who pursue this are interested in medical ethics or in law careers that consult in a healthcare field. This list provides you with the most popular second degrees medical students choose in order to advance their education and career flexibility. There are many more than this, including but not limited to a Master of Public Policy, a Master of Science in Public Health, a Master of Science, and a Master of Global Health. Throughout your undergraduate and medical education, it is critical to reflect upon and assess your career goals; it may be beneficial for you to consider a combined program or to consider pursuing a degree in another field before or after residency. Whether you want to become a full-time clinician, a clinician researcher, or a healthcare administrator, there are a variety of career paths in medicine. With extra time and dedication, it is possible to craft a rewarding career in medicine perfectly tailored to your interests. Applying to medical school? Having a hard time deciding on a degree program? Share your experience below!